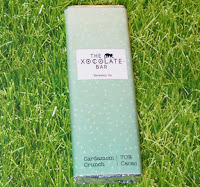 Welcome to Day #6 of Chocolate and Spices Theme Week. 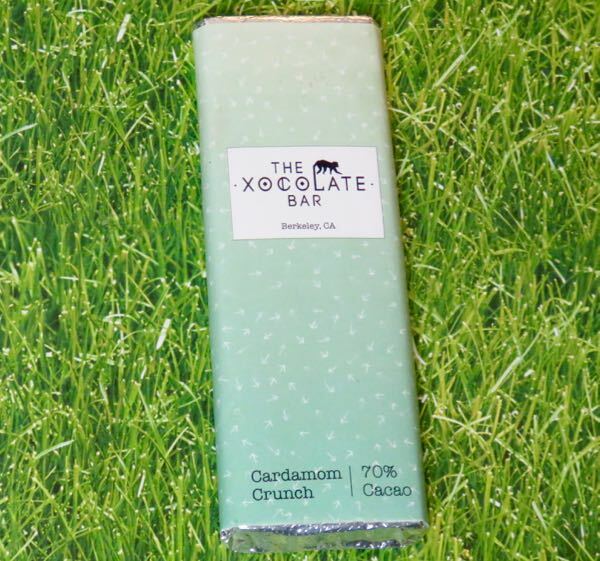 Today's Cardamom Crunch bar from The Xocolate Bar (Berkeley, CA) delivered one of the tastiest chocolate and spice renditions to date. 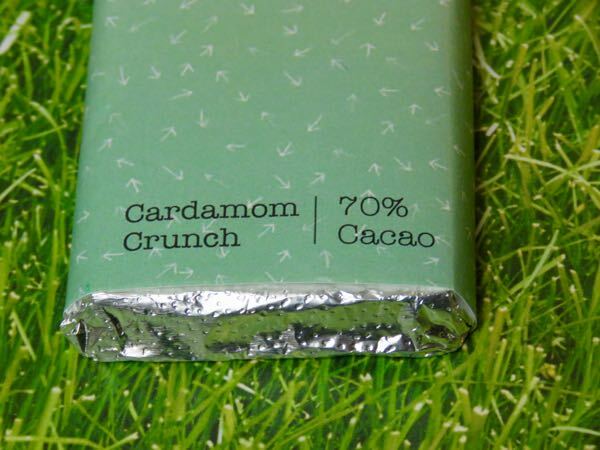 This organic dark chocolate bar with caramelized cardamom seeds was composed of a flavorful, smooth, not too sweet 70% cacao chocolate base with fudge brownie flavor notes. 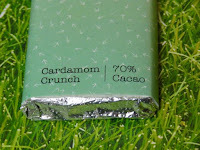 The caramelized seeds provided tiny bursts of crunchy texture and wonderfully authentic sweet cardamom spice flavor. This bar was organic and vegan.